Dr. Liang has more than 20 years of combined experience on Wall Street as an analyst covering the biotechnology and pharmaceutical sectors and as a scientist in the biopharmaceutical industry. 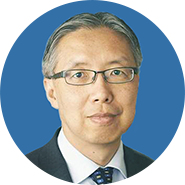 Prior to joining BeiGene, from 2005 to 2015, Dr. Liang was at LEERINK Partners LLC, a leading investment bank specializing in the healthcare industry, where he served as a Managing Director and Head of Biotechnology Equity Research. Dr. Liang also held senior positions as a senior biotech analyst at multiple investment banks from 2000 to 2005. Dr. Liang was named Institutional Investor All-America Research Team in 2015, Bloomberg Markets Top US Analysts in Biotechnology in 2012, Wall Street Journal “Best of the Street” in Biotechnology and Pharmaceuticals in 2010 and in Biotechnology in 2008. Before joining Wall Street, from 1992 to 2000, Dr. Liang was with Abbott Laboratories, where he was a Senior Scientist and a member of one of the pharmaceutical industry’s leading structure-based discovery teams. During his career as a scientist, Dr. Liang authored a review and 13 papers including six published in Nature, Science, and Proceedings of the National Academy of Sciences. Dr. Liang received his B.S. in Chemistry from Peking University and both his MBA and Ph.D. in Biochemistry and Molecular Biology from the University of Chicago.